Posted on 18. Jul, 2010 by Corey in All, Dayton Dragons Baseball, General Baseball. 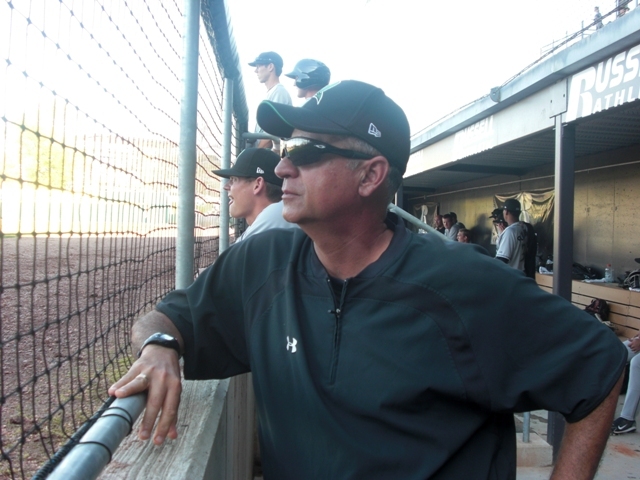 Did you know that Dayton Dragons current Pitching Coach Tony Fossas played the 1982 season with the Burlington Bees? The Dragons are currently in the middle of a series in Burlington at Community Field. Fossas says the city is different and much more built up but he has great memories of the park and its surroundings. In 1982, Fossas won 8 games with a 3.09 earned run average while starting 18 of the 25 games he appeared in. Fossas threw over 146 innings and had great numbers across the board as he moved through the minor leagues on his way to the majors. Thanks so much for posting this update about Tony. I’m a Fossas fan and memorabilia collector.